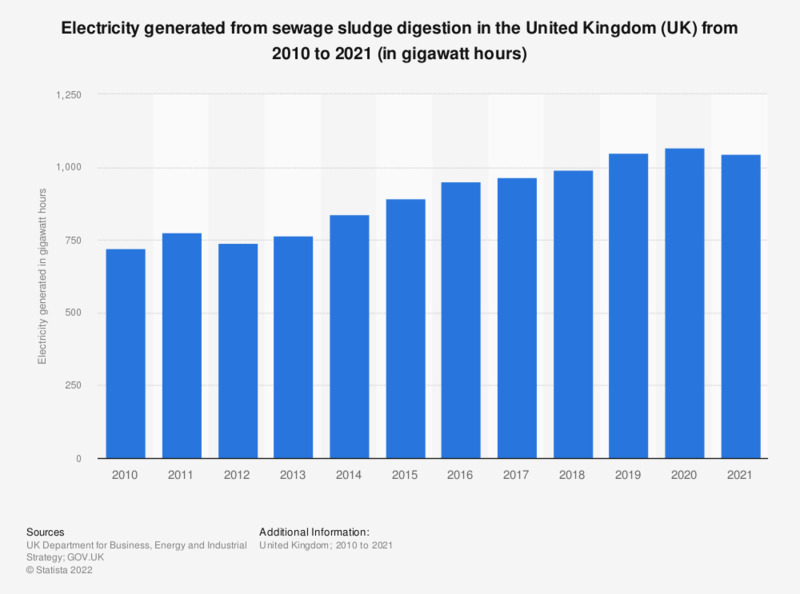 This statistic shows the amount of electricity generated from sewage sludge digestion in the United Kingdom (UK) from 2010 to 2017, in gigawatt hours. It shows that the amount of electricity generation from sewage sludge increased over this period from 697 gigawatt hours in 2010 to 967 gigawatt hours in 2017. Sludge is mostly water with lesser amounts of solid material removed from liquid sewage. Energy may be recovered from sludge through methane gas production during anaerobic digestion or through incineration of dried sludge.